IMPORTANT: Check to ensure all individual ingredients are produced in a peanut and tree nut free facility. Place the garlic in a high-speed blender to mince. Then add the SunButter, tahini, lemon juice and water and blend until combined. Adjust the water if it’s too thick to spread. Use a mandolin or vegetable peeler to cut the cucumbers into long, thin, lengthwise strips. 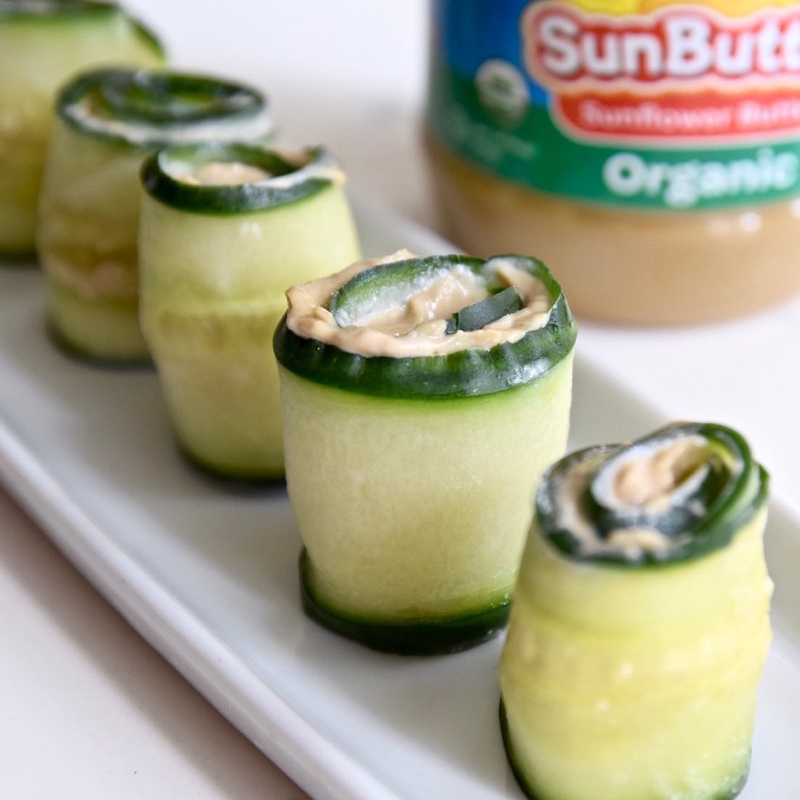 Pat dry and then use a knife to gently spread a thin layer of the tahini SunButter mixture across the cucumber, leaving a little room at each edge for rolling. Roll tightly from one end until you reach the other. The roll should be able to stand on its own, but if not, use a toothpick to keep it together.